Could SNP government be helping in any way? Next Article SNP blamed as private businesses experience too much demand and overcrowding with new staff second only to Labour-mayored London. They just can’t keep up. They like to drip feed the ‘horror’ stories. Today’s was the ‘boy’ calves being exported from Scotland and NONE FROM ENGLAND. What was it that perpetually inebriated labour lord foulkes said ,The snp are trying to make the rest of the country look bad by providing services that work and whats more they are doing it Deliberately , that was not a joke this clown actually said that to Colin Mackay on the BBC . Really? Think it can be found? Nope , I would not be interfering with the decisions they have taken to get them to where they are , just the same way Scotland would not be given any help . 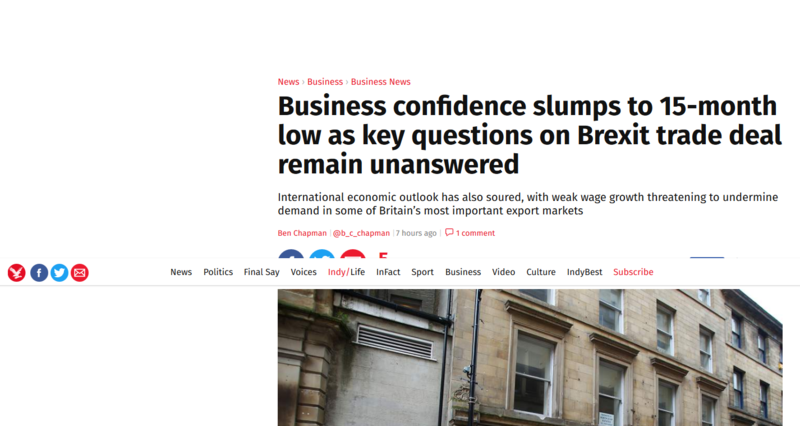 However I would like some screaming headlines telling us how well Scotland is doing in these hard times , but I suppose that is a good news story and Scottish MSM and opposition parties don’t want anyone to know about that ! Hi John – apologies if I’m posting this twice – I think I pressed a key erroneously and ‘lost’ the first attempt. You asked about the quote from the drouthy Baron Ffoolkes complaining that the SNP were governing Scotland in the interests of her people “..deliberately..”. By George, that’ll teach them. IT SEEMS George “Lord” Foulkes puts his foot in his mouth more often than most of us have a cup of tea at the moment. Despite his onerous responsibilities in both the Scottish Parliament (as a Labour MSP on the Lothians list) and the House of Lords at Westminster, Lord George still seems to spend most of his time battering the Nats (as well as Vladimov Romanir) – not always to great effect. Alba is deeply indebted to Scotsman reader John Jappy (great name, John) for bringing to our attention this exchange between the noble lord and Colin MacKay, in a recent interview on BBC Radio Scotland’s programme Scotland at Ten. Whatever does the SNP government think it’s doing? Wantonly putting forward policies that might improve the lives of Scotland’s people? It will never catch on – not according to George Foulkes anyway.